It’s that time again, don’t miss out on our 2019 Children’s Horseback Riding Camp! Summer Camp sessions will run from 9am-1pm Monday through Friday of each camp week. A rider must be 5 or older by the start of their camp week. 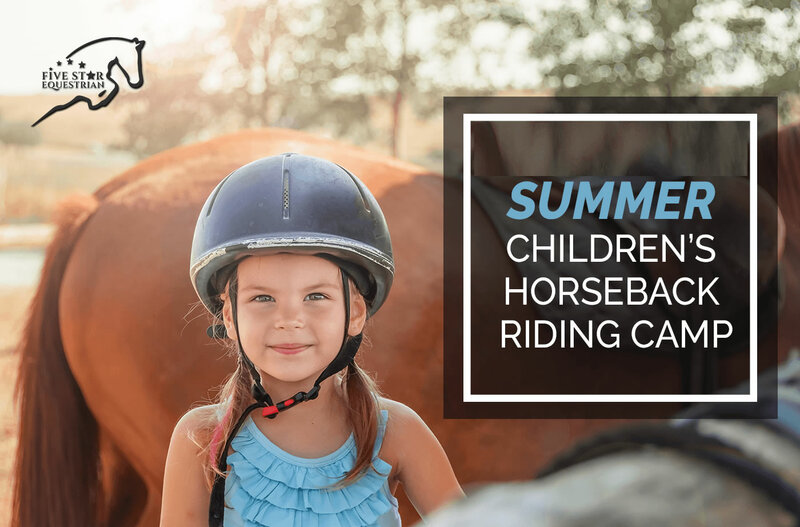 Please visit our Summer Children’s Horseback Riding Camp page for more details by clicking on “Read more” button below. types, parts, cleaning, grooming, bathing, clipping, show prep, feeding/cleaning and much, much more. sense’ while having lots of fun. Thank you for your interest in Five Star Equestrian Camp.